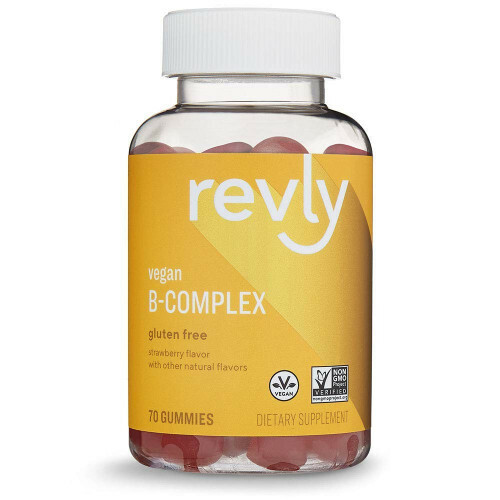 Revly B-Complex gummies are vegan, gluten free, and Non-GMO Project Verifeid. 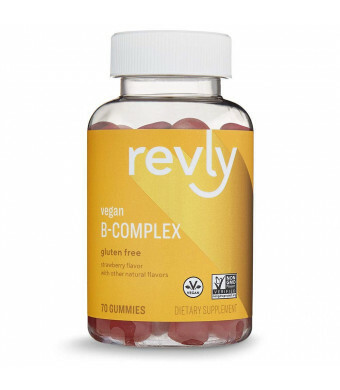 They feature strawberry flavor with other natural flavors. Suggested use: Adults take 1 gummy daily; chew thoroughly.